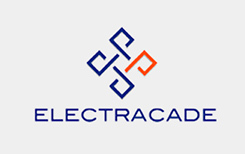 Electracade is one of the most influential software providers in the world of online gaming, with hundreds of games and more than a decade of experience in the field, emerging in 2004. You’ll find their games at Virgin, Bwin, Paddy Power, Ladbrokes, Unibet, William Hill, 888, Gala, Betfair, and many, many more. They have an amazingly wide range of products and to date, they have one of the most impressive badges in the business. Which is a UK Gambling Commission License, plus they have been green-lighted by Alderney Gaming Control Commission to make sure their standards are as sky-high as their agendas. We normally say, to paraphrase, that the road to hell is paved with high expectations, but in this case, Electracade Ltd has every reason to be proud of their achievements as well as their ambition. They are widely known for making many (if not most) of IGT’s games plus delivering quite a few variations of Craps, Blackjack, Roulette, and table games as well as some of the most famous slots in the business. We recommend you try Heaven and Hell as well as some of the later games that were produced after the company’s acquisition by Open Bet, making it one of the most influential and diverse players on the market. You will no doubt want to check out the Real Del series, but we also recommend you take a look at their tasteful selection of scratchcard games. Of course, you have to try Who Wants to Be Millionaire and the game that has managed to make more noise than all the Roswell media coverage put together, Alien Autopsy. Some of the best wins around if we’re taking progressive Jackpots came from Monster Cash (check out our Bonuses section), so make sure you check out this Progressive Jackpot section. The Real Deal games we mentioned include crispy graphics and lots of unbelievable 3D effects. They have proven to be very popular with the public when they were first introduced to the market, and now it seems the online gaming world has gone crazy with the idea, continuing the idea with VR sets, HD slots and 3D mobile slots of all kinds.